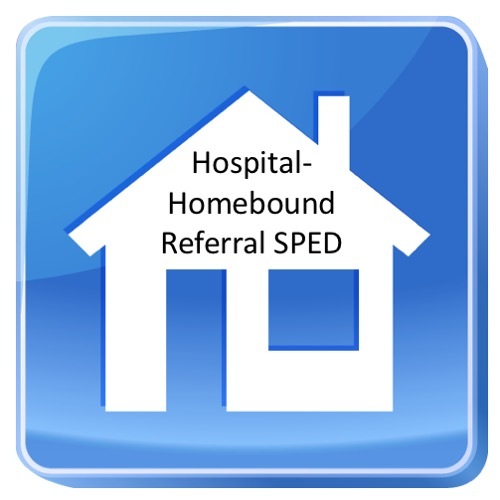 What is the Hospital/Homebound instructional program? Hospital/Homebound is an instructional program provided to regular or special education students who are unable to attend school because of a medical condition. Students receive instruction in the hospital or home environment to help them keep up with their coursework while absent from school for a qualifying medical illness. Are Homebound and Home Study the same instructional program? No, Homebound services are provided in the hospital or home environment by teachers assigned through the local education agency. Home Study students also referred to as “Home School students”, receive instruction from their parents in the home environment. Public school students certified by their attending physician as having a medical condition that requires the student to be away from school for a period longer than ten consecutive school days are eligible. Where do the parents apply? Parents may apply at the student’s school or at the local school board office. Students should be taught by a properly certified teacher assigned by the local education agency, especially if services will be needed for a period longer than twenty school days. Can my child receive instruction in classes beyond English, math, science, and social studies? Consideration shall be given to the individual need for services beyond the core academic subjects for students with disabilities.